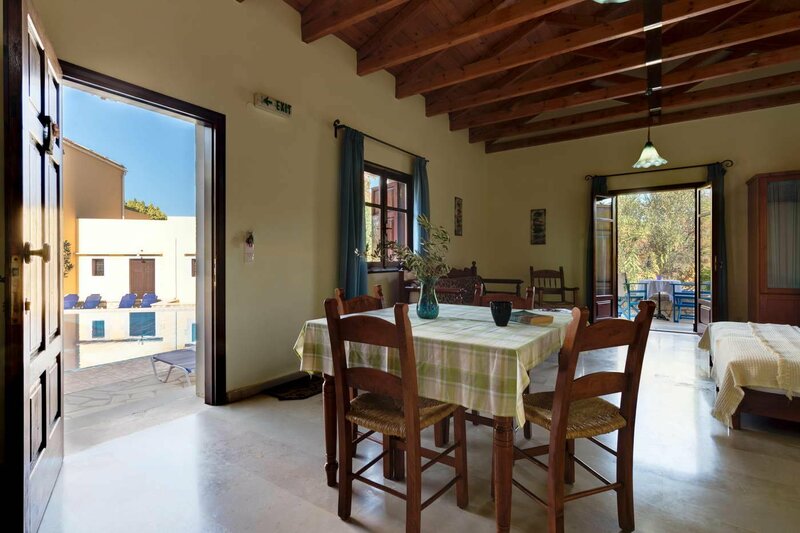 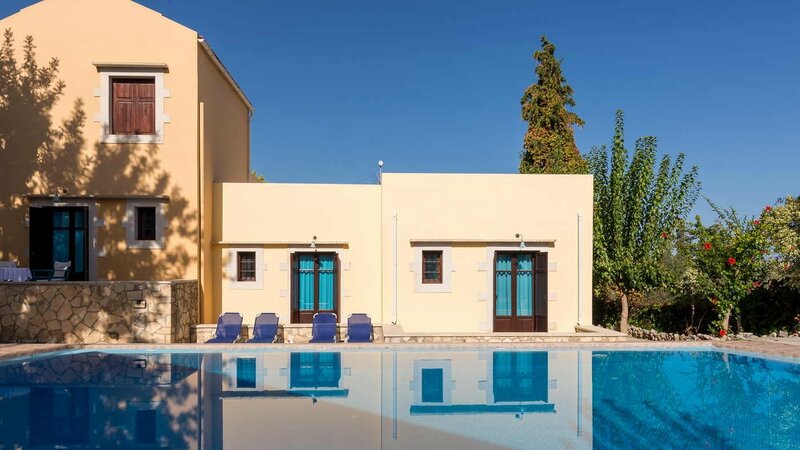 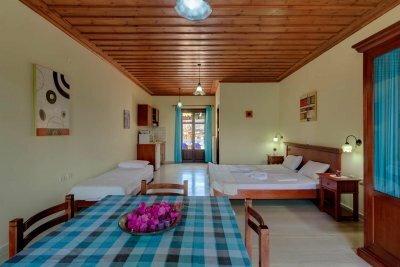 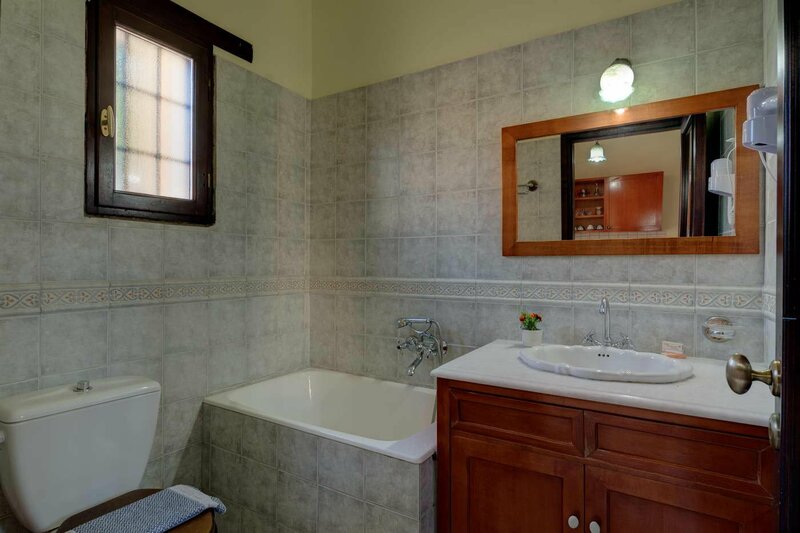 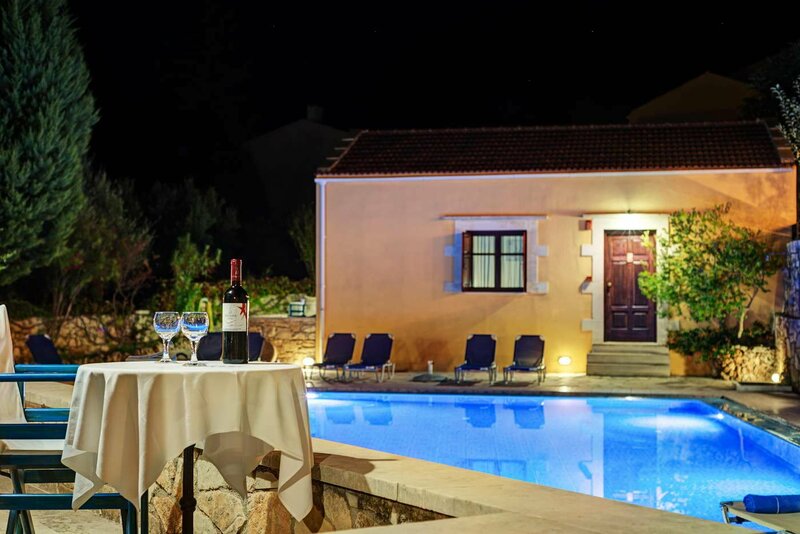 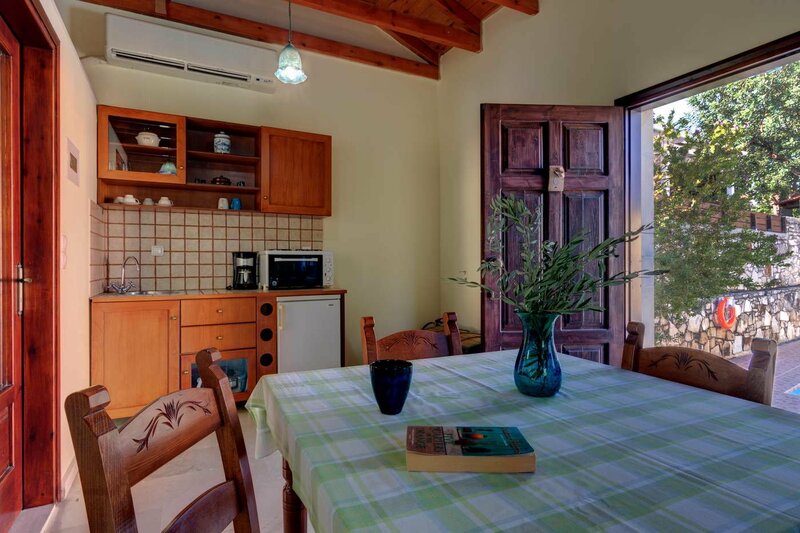 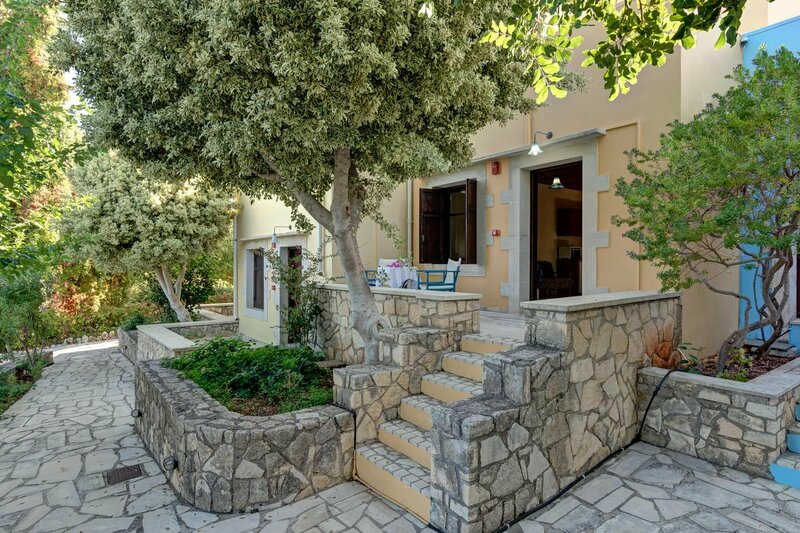 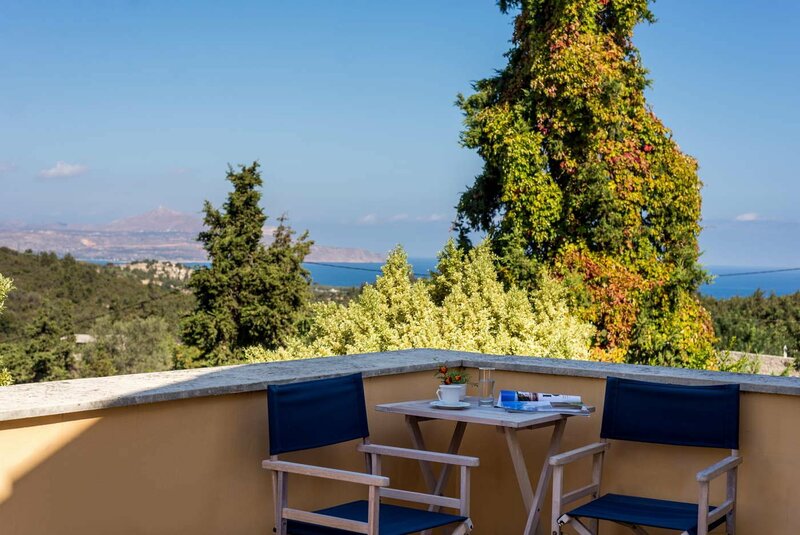 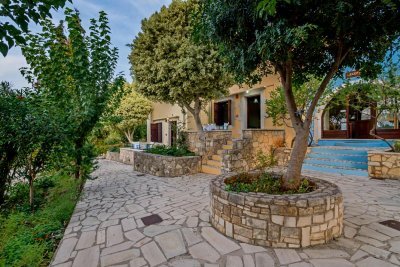 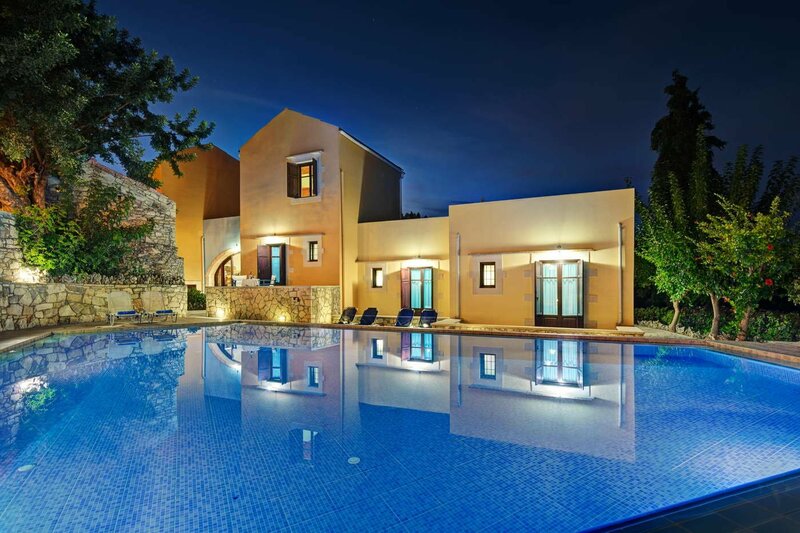 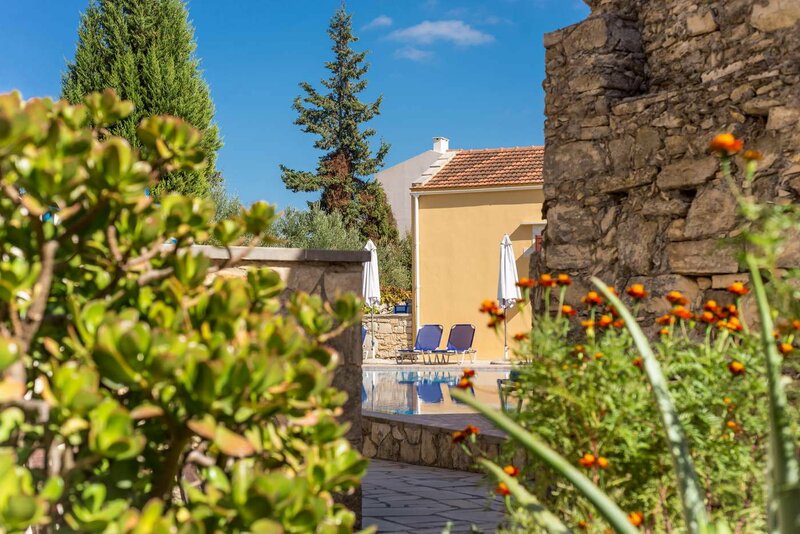 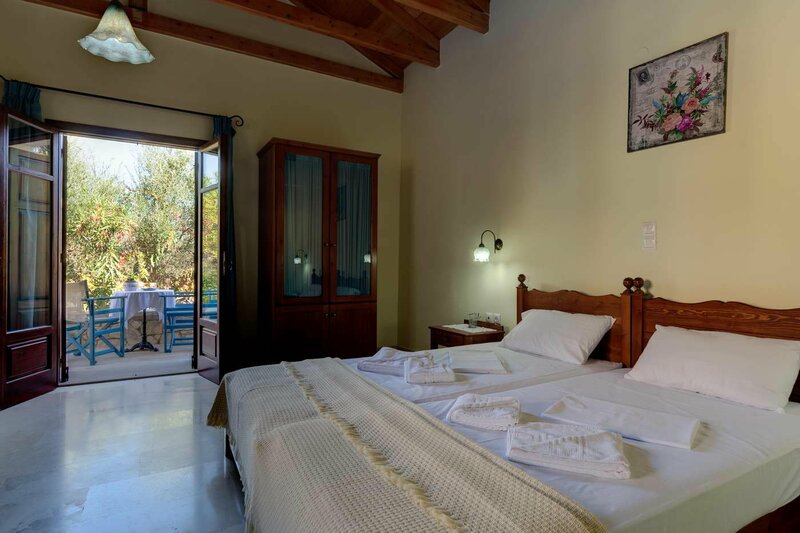 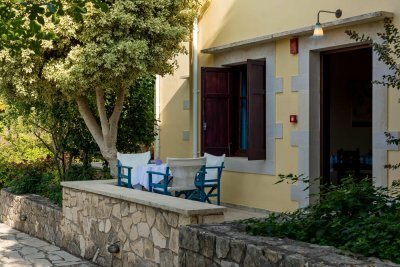 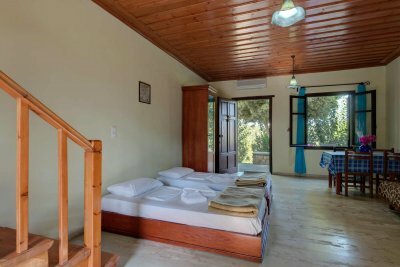 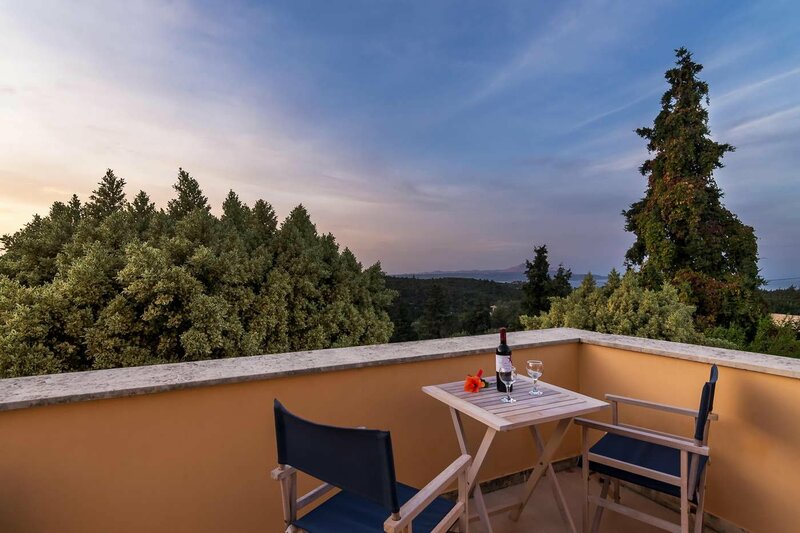 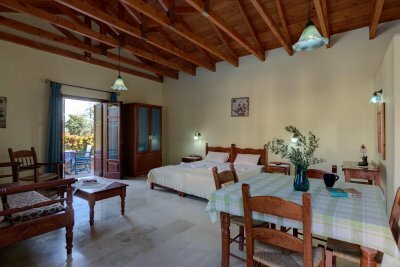 Situated 25 km from Chania, in the small traditional village Douliana, the stoneduilt complex Iliopetra has five apartments and three maisonettes (2storey apartment). 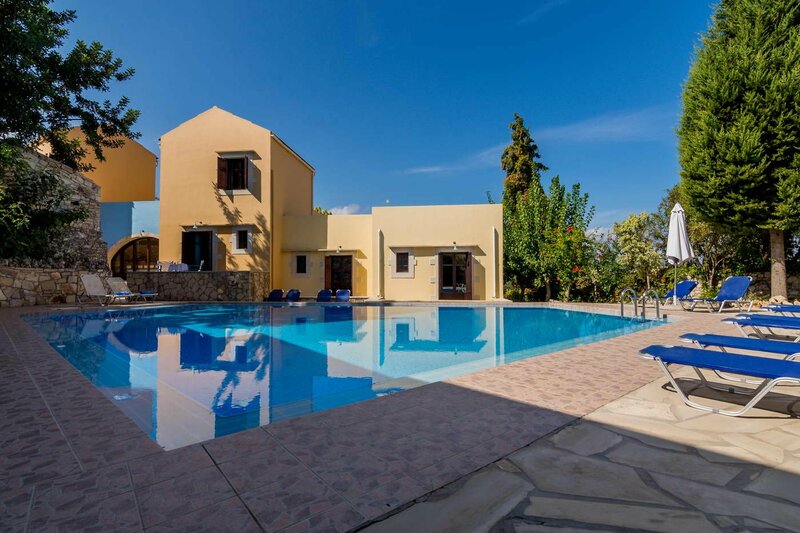 Enjoy pleasant moments at the pool in the peaceful nature and flowered environment. 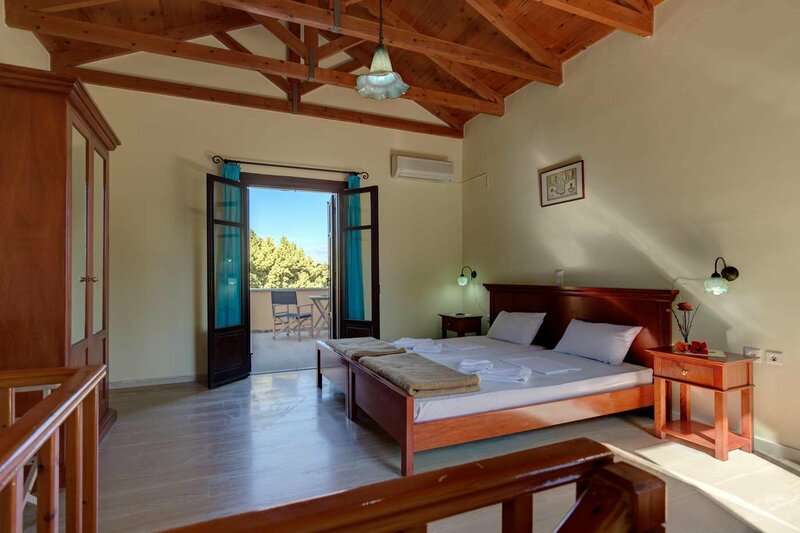 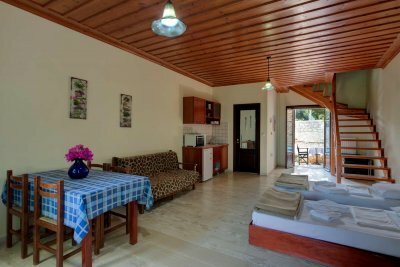 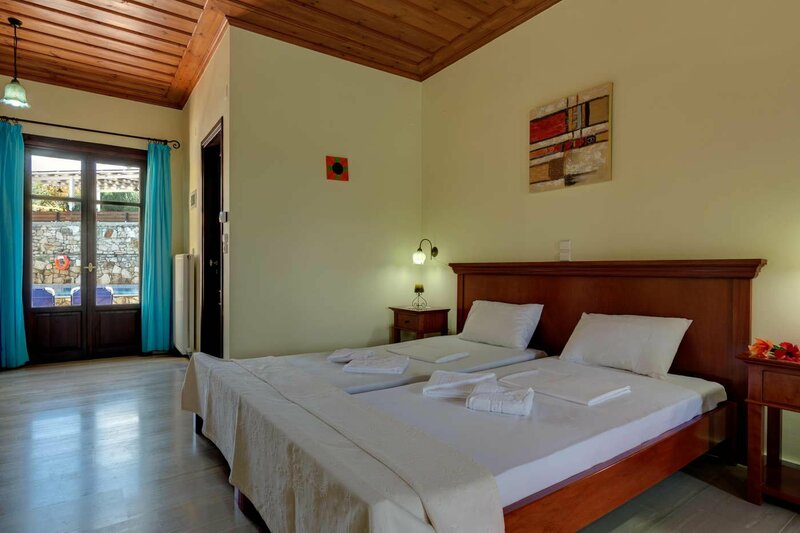 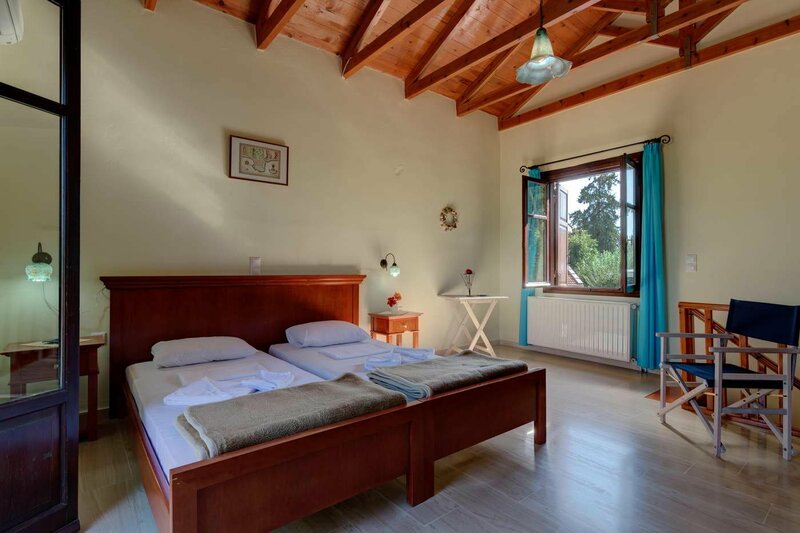 The owners will welcome you warmly for a sunny holiday experience and Cretan hospitality! 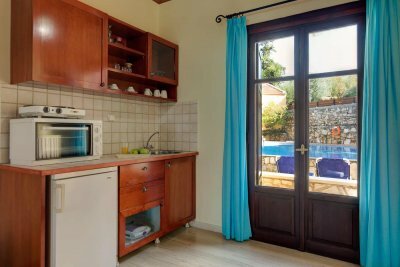 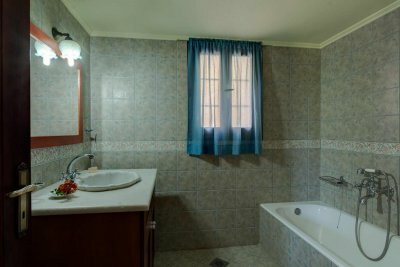 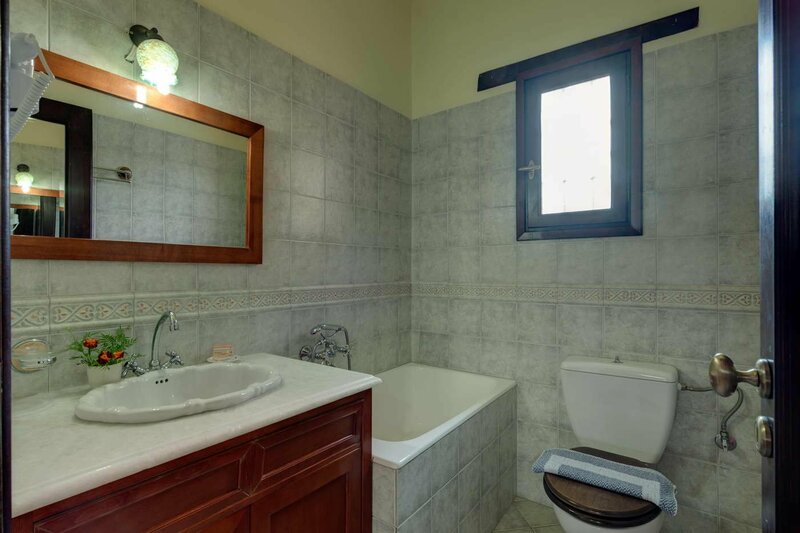 Traditional and fully equipped studios and apartments for comfortable and relaxing vacation overlooking the pool and the sea. 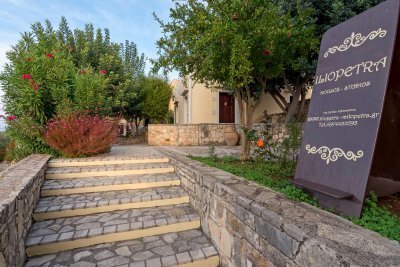 Ideal starting point to discover the beautiful area of Chania and the unique Cretan countryside. Very nice place, well situated (in the mountains but only 10 minutes by car from Kalyves, good restaurants, beaches…). 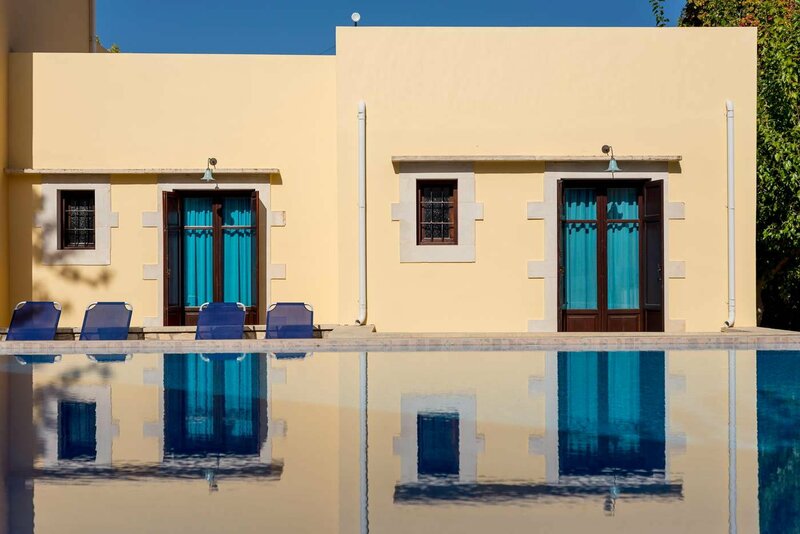 The swimming pool is big and the houses are nicely organized around it. 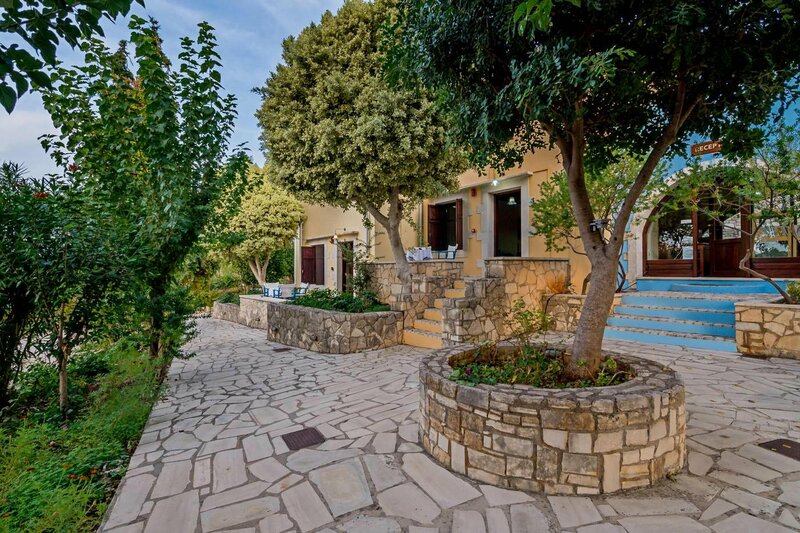 The village of Douliana is very pretty. The house we had (for four persons) was quite big - with two floors and a big rooftop terrace where we could eat and relax…) and cleaned every three days! 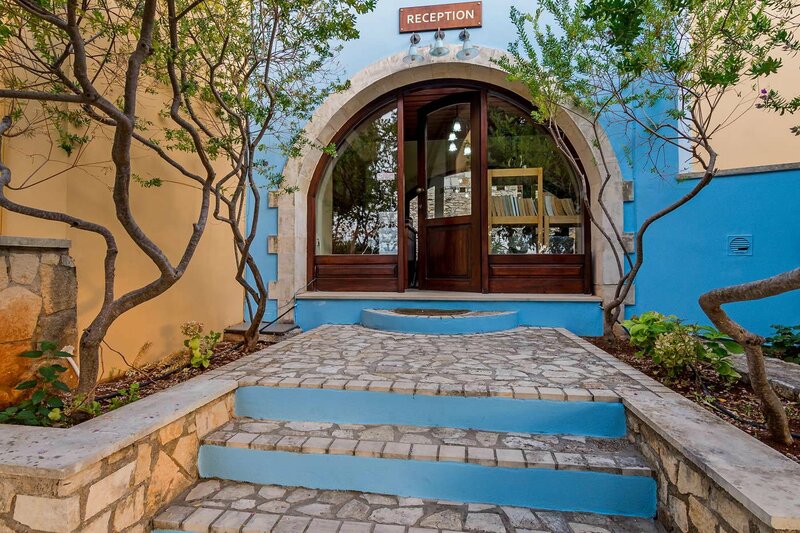 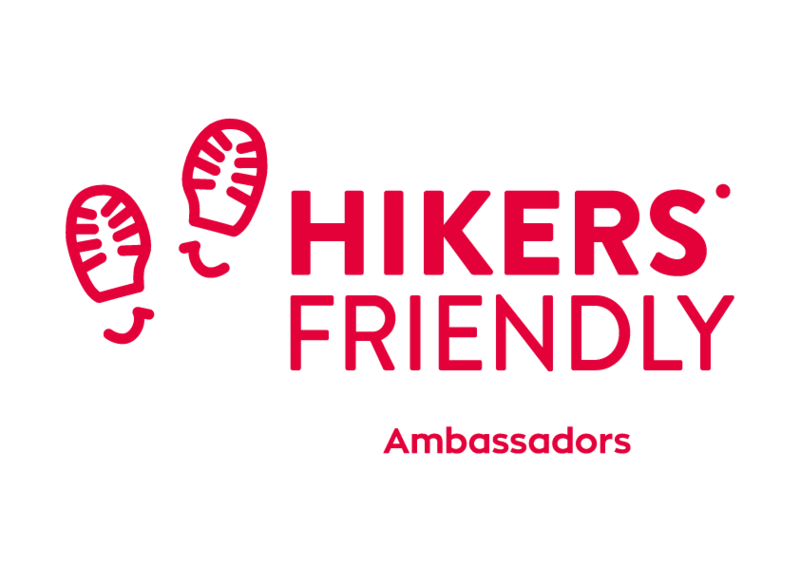 To put it in a nutshell, we highly recommend that place!